Update: We have updated this blog on 10/09/2015 to take account of the end of season flu vaccine effectiveness data for the 2014/15 flu season. Every year international experts make important judgements about the likely flu viruses that will be circulating during the winter months in the Northern Hemisphere. In this blog we explain how flu vaccine works and the concept of ‘drift’. How do you measure vaccine effectiveness? Vaccine effectiveness is generally measured once a vaccine programme has been introduced by comparing the risk of influenza infection in vaccinated persons with that in unvaccinated persons whilst adjusting for any differences between the two groups. In recent years, we have typically seen around 50% (ranging from 25-70%) effectiveness for the seasonal flu vaccine in the UK, with generally a good match between the strains of flu in the vaccine and those that subsequently circulate in the population. How effective was the flu vaccine last season? The 2014/15 flu vaccine used in the UK was found to be 34% effective against the main circulating strains of flu, with earlier media reports about the effectiveness of the 2014/15 flu vaccine based on interim ‘mid-season’ figures, which had more uncertainty compared to the final figures, as they were based on a smaller study population. Research from Public Health England earlier this year found the seasonal influenza vaccine provided low protection this winter against flu infection as a result of an influenza A subtype strain which didn’t match the subtype strain used in the vaccine. The end-of-season estimate although still low was higher than the effectiveness calculated mid-season and indicated that the vaccine did provide some protection against the main circulating strains, albeit at a lower level compared to usual seasons. The World Health Organization monitors influenza globally and each year convenes a vaccine composition group that recommends the strains of flu virus that should be included in the flu vaccine for the forthcoming flu season. It takes from February through to August / September for vaccine manufacturers to produce sufficient quantities of the flu vaccine for the annual campaign. If a change in the virus is detected once production has started it is not possible to change it. PHE does not manufacture influenza vaccinations. How do we know which subtype should go into the flu vaccine? The World Health Organization (WHO) reviews the global situation (once for the Northern Hemisphere vaccine and once for the Southern Hemisphere) each year and recommends which three flu strains should go in the “trivalent” vaccine to be manufactured for the following season. This recommendation is based on the viruses circulating each season and epidemiological data from around the world. The WHO thus has to make a decision on which strains of flu to protect against, before flu starts circulating several months later the following season. Which strains will go in the 2015/16 northern hemisphere flu vaccine? It is recommended that quadrivalent vaccines (which contain two influenza B viruses) contain the above three viruses and a B/Brisbane/60/2008-like virus. 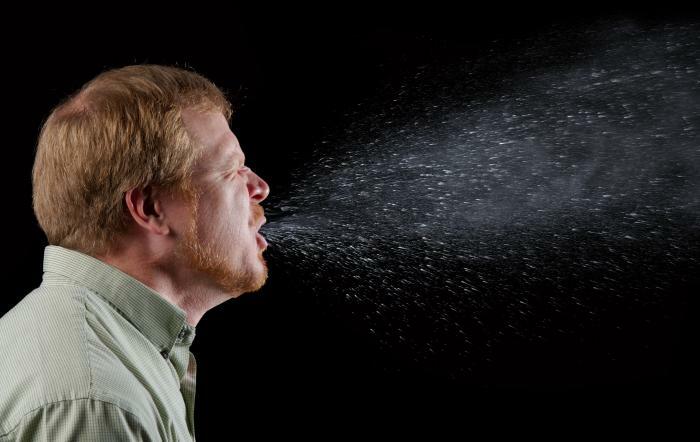 Influenza A and B viruses cause seasonal epidemics of influenza almost every winter in the UK, but what does it mean when we hear of a flu virus described as H1N1 or H3N2? Within influenza A type viruses, there are also subtypes. H3N2 for example, is a subtype of influenza A, and the dominant strain of flu we saw circulating last winter. Influenza A and B viruses have two different types of spikes on their surface – the haemagglutinin (H) and the neuraminidase (N). There are 18 different hemagglutinin subtypes and 11 different neuraminidase, which is where the H and N numbers come from. Viruses attach by their haemagglutinin onto receptors on the surface of cells in order to infect them, like a grappling hook. The neuraminidase breaks the bond holding newly created virus particles to the cell wall of infected cells, allowing newly synthesised viruses to escape and spread. What’s with all those extra numbers and letters? I thought H3N2 was the subtype? Within subtypes, we also have different strains. Because the flu virus is constantly changing, different strains may circulate from year to year, which means the vaccine must be optimally matched each year against the anticipated strains. So, the flu vaccine this season contains an H3N2 strain which is matched to H3N2 subtype strains which are similar to the strain of flu identified in Switzerland back in 2013. But what about strains that aren’t like A/Switzerland/9715293/2013? If a strain of flu is circulating that doesn’t match up with the strain in the vaccine, we have what’s called a mismatch or drift. A(H3N2) was the dominant subtype circulating last flu season in the UK. As per our weekly flu reports last season, characterisation of influenza A(H3N2) viruses by the PHE Respiratory Virus Unit indicated that a proportion of the viruses circulating last season were distinguishable from the Northern Hemisphere 2014/15 vaccine strain (A/Texas/50/2012) and were similar to the H3N2 virus selected for the 2015 Southern Hemisphere influenza vaccine (A/Switzerland/9715293/2013), and now included in the 2015/16 Northern Hemisphere vaccine. And last year we saw a reduced effectiveness because of a mutant ‘Switzerland’ strain? No. Mismatch means it’s not a perfect match for the strain used within the vaccine, and the level of cross protection is reduced. Last winter, the Swiss A/(H3N2) strain was also dominant strain in the US, Canada and elsewhere in Europe. If vaccine isn’t effective for everyone, why bother with it? While it’s not possible to fully predict the strains that will circulate in any given season, flu vaccine remains the best protection we have against an unpredictable virus which can cause severe illness and deaths each year among at-risk groups, including older people, pregnant women and those with a health condition, even one that is well managed. What’s to say low effectiveness won’t happen again this year? Where can I view the final season UK vaccine effectiveness report? The full report can be found on the Eurosurveillance website. Thanks for the blog and the lay friendly interpretation. It was helpful in the section when you broke down what actually the sub types, using the example, "Influenza A/Texas/50/2012 (H3N2)". It is clearly quite complex but with Christine McCartney and Paul Cosford at Public Helath England on the case I am comfortable we are in safe hands.